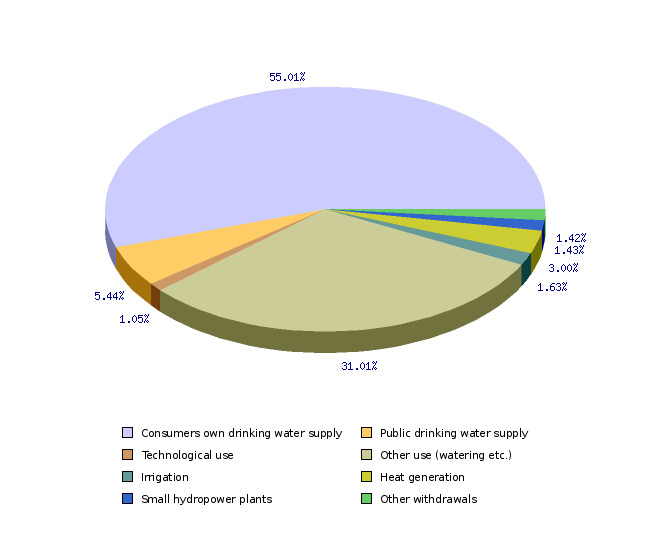 By the end of 2013, more than 40,000 water permits and concessions had been granted for special water use. offshore platforms, etc. ), the permit mainly defines the envisaged or installed current withdrawal capacity (l / s) or water area or aquatorium (in m2). Water rights are also required for the removal of sediment. from springs, boreholes and wells, hence from groundwater. 15.07 million m3 in annually intended for irrigating agricultural and other land. marine aquaculture (84) and natural bathing sites (440).